The home page described here applies to all users with access to more than one device. Users with access to one device will not see this page and will instead be directed to the device page. The Home page is broken into 4 sections: Search, Dashboard, Broadcast and Recent Messages. 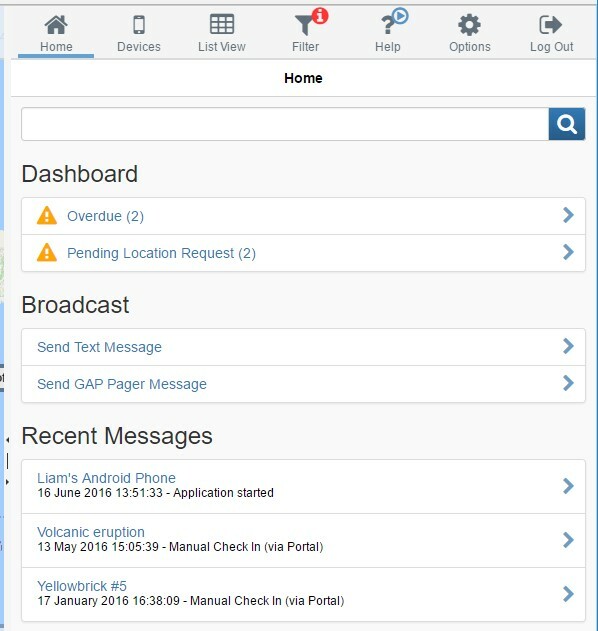 Note that all sections may not display when you log in depending on your user role permissions, your portal settings and the state of the devices you have access to. The Dashboard section visibility can be toggled on or off on the portal settings page. The Broadcast section requires the user role permission to send broadcast messages. It can be used to broadcast a text message to multiple devices at once. Recent Messages section shows up to 3 or 7 devices with their last message. Clicking the device will bring you directly to the device Inbox showing you the latest messages for the device. 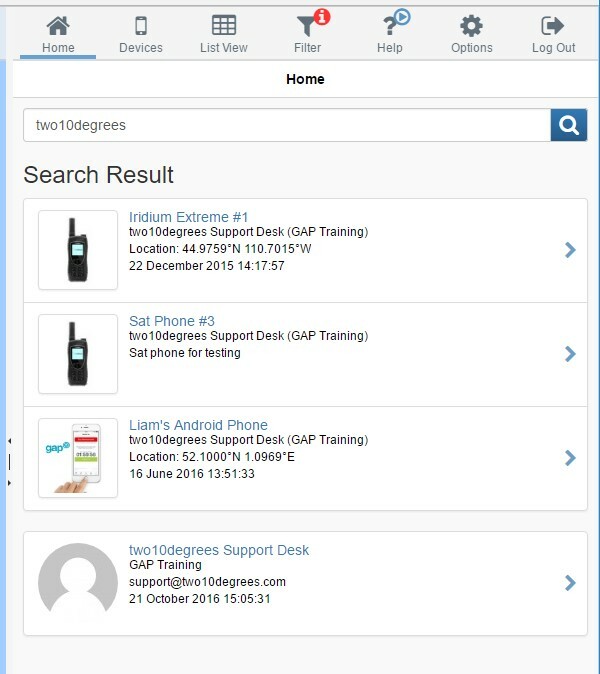 The Search input at the top of the Home page can be used to find devices, users, groups and travellers. Clicking the link opens dashboard detail page with list of devices.